Do you love BBQ? Would like to have burgers, delicious steaks, and flamed grilled delights? If yes, then you must be regular a visitor to the kosher restaurant. In the kosher restaurant, you will get different varieties of the smoked meat, burgers with crispy pastrami, and beef empanadas. These foods will be certainly appreciated by you and your family. Nothing can offer you the same taste like the kosher restaurant. The experts have the requisite culinary skill to offer you different kinds of food from a variety of menus. Kosher Rib Sandwich Aventura Miami is more popular for its great taste. You will get the hamburgers, tasty steaks, sandwiches, small plates, appetizers, and flatbreads. You will love the flavor and taste and will find a good reason to have the food outside. In fact, you should give an opportunity to your family to enjoy the steaks and different foods depending on their preference. These restaurants have an option for everyone and they will not disappoint any of you. What should you expect from the Kosher Restaurants? First of all, you will get different varieties of the foods. It will truly leave a profound impression on the meat lovers. They will like the steaks, burgers, and sandwiches. You will get world class steaks both in the taste and the quality. And the behavior of the staff is also cordial. You can expect the following foods from the kosher restaurants. Steaks are one of the major attractions of these restaurants. Once you will have it, you will never ever forget the taste and obviously, you would like to visit these restaurants more often. These steaks come with different varieties. You can try any of them. It is not about the steaks only; you will get different varieties of the meat as well. In brief, if you love meat, you will love these restaurants as you will get many options in your favorite food. You can get Rib Eye, Criollo, T-Rex Rib, Chef Platter, and Cowboy steak. Options are many. You just need to taste the varieties instead of selecting one every time. For the chicken lovers, chicken breast, chicken skewers, fire roasted half chicken are available. 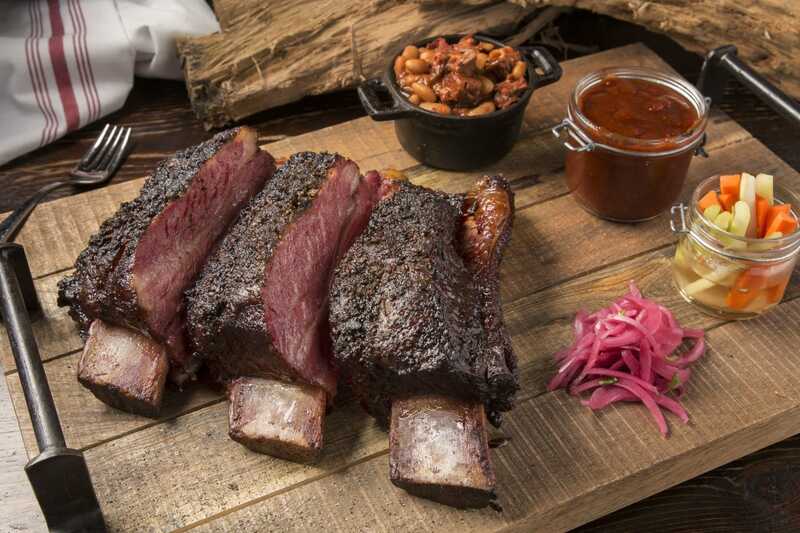 You will get many options in the entrees such as the Kosher Sandwich Aventura Miami, Baby Chicken Skewers, tuna steak, pabellon criollo, and BBQ Fuego back ribs, and the Argentinian Churrasco. Kosher restaurants are popular for the steaks, burgers, and sandwiches. You can have Godzilla burger, Cilantro garlic with the dry chicken sandwich, Fuego Burger, Rub roast Fuego sandwich, Burger trio, and the spicy tuna burger. Besides the steaks and burgers, you can also have the salads and the appetizers that include the pulled brisket empanadas, Fuego flat bread pulled beef, Chicken stuffed arepas, Fuego Latino salad, and the seared salmon salad. A kosher restaurant is a wonderful place for having food with your friends, family, relatives, and colleagues. If you want to impress someone with different varieties of the meat then this is the best place.